The Press Hotel interior designer, Stonehill & Taylor, was committed maintaining a connection with the building's journalistic past. 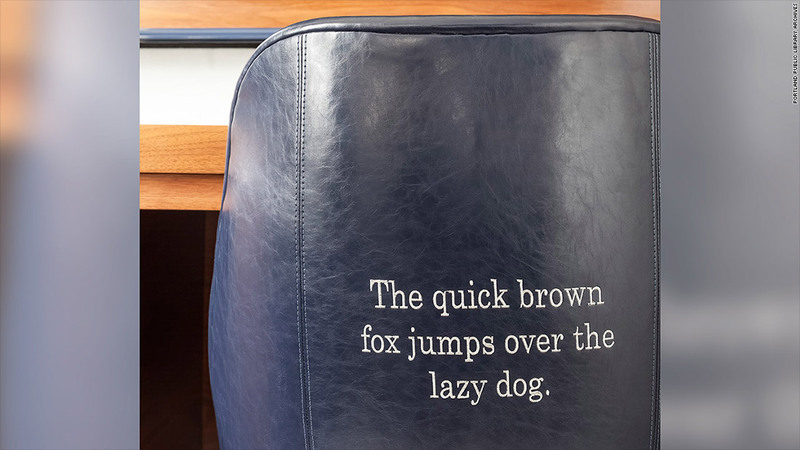 A guest room chair with the famous phrase "the quick brown fox jumps over the lazy dog" that contains all the letters of the alphabet. It was commonly used to test typewriters -- and typists.